Mold contamination can grow from a variety of sources, but moisture and humidity are typically the main culprits. Keeping an apartment over a rented commercial space can be convenient for you as a Kansas City, KS business owner. Bundling rental costs for both areas can help you save money on daily commutes and other expenses. However, when you discover fungi growth in your apartment and mold cleanup is necessary, knowing how to proceed and who to contact can be difficult. If you find yourself with a mold issue in your rental space, there are a few steps you can take to resolve the problem. Once you discover mold in your apartment, it is wise to leave it alone until you can alert your landlord and have him or her come to look at the infestation. 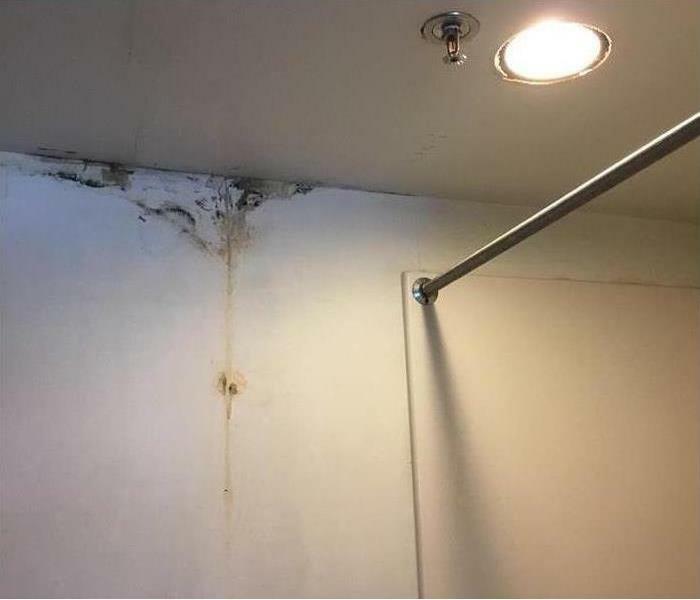 Even if it is a minor issue, such as bathroom fungi, mold spores can still detach from small patches and move through the building’s air ducts, where it could spread to your commercial space. 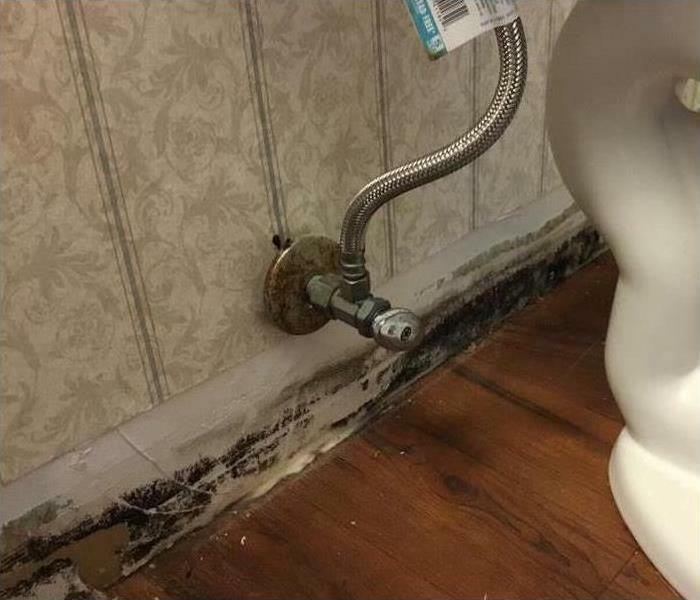 Letting you landlord know about the problem right away can prevent this. Mold contamination can grow from a variety of sources, but moisture and humidity are typically the main culprits. Check cabinets under the bathroom and kitchen sink, the shower and any water lines in the apartment. If you suspect the problem may have originated in your commercial space, you may want to check those water sources as well. Depending on the source of the mold, you may be responsible for its removal. Calling your insurance agent as soon as possible can help you understand whether your renter’s insurance covers mold cleanup and the cost of a fungi removal and cleaning service. Your insurance agent can also help you make a claim to cover costs as soon as possible. Discovering mold in a rented apartment that is attached to your Kansas City, KS commercial space can be stressful. 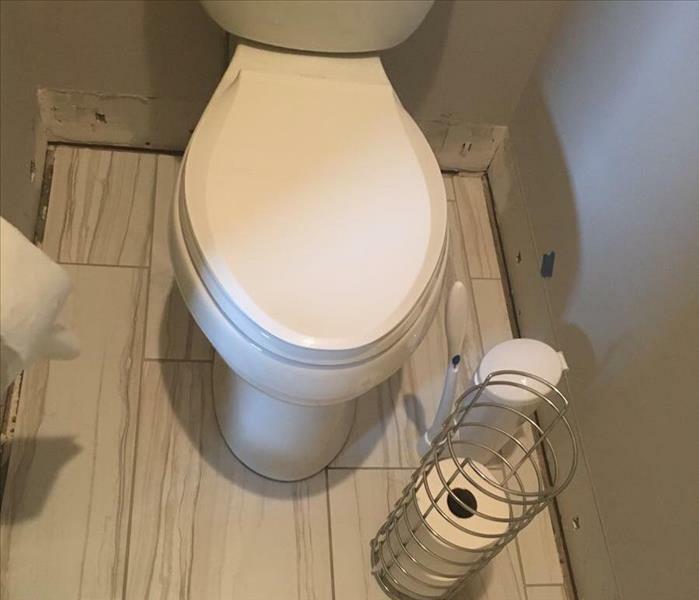 However, when you know which steps to take and who is responsible for the mold cleanup, you can feel more confident about working toward a quick resolution. Working with a restoration company recommended by your insurance provider, like SERVPRO, may make your restoration process easier. When your Kansas City, KS business is hit by fire, storm, or water damage a quick emergency response time can make all the difference. However, after the crisis has been averted you may be left with some restoration needs. Choosing a professional restoration service, such as SERVPRO, to do the job can be made easier by looking at those recommended by your insurance provider. In many cases they may recommend a company that offers a number of claim services, which can speed the process along. One service offered by SERVPRO is a claims inventory. This may include both an itemized list, and photographs of any important items that may have suffered damage. Having such a list can help your business go over any items they may need to repair or replace such as inventory, office equipment, or any important documentation. Another important inclusion in the offered claim services is the ability to access claims information electronically. This may include photographs, the notice of loss, job estimates, progress completed, and any new information that may be discovered during the process. This can allow you and your insurance agent to stay up-to-date every step of the way. One aspect in the insurance agent may appreciate when working with such a company, is the fact that they try to restore the existing materials whenever possible. Restoration is often cheaper than a full replacement, and in many cases is a fully viable option. This may not only save your company money, but can help your claim as well. Working with a restoration company recommended by your insurance provider, like SERVPRO, may make your restoration process easier. These companies may offer a variety of claim services which can make communicating with your insurance agents more efficient, and help you and your agent stay up-to-date on the information you need. If you have any questions your restoration service professional may be able to help. Mold can grow anywhere there's excess water. An unpleasant, musty odor is a sign that you may have a fungus growth somewhere in your home. Rather than assuming your home in Fairway, KS has a Stachybotrys infestation, hire a certified professional to perform a mold inspection. Many people believe certain things about black mold that simply aren't true. Here are three misconceptions to erase from your knowledge about this particular type of fungus. Contrary to its common name, Stachybotrys isn't always black. While it is a dark mold, it sometimes has a green tint to it. It is also often dense and slimy. Don't dismiss a mold growth as a milder form of mildew just because it doesn't fit a preconceived notion of how this particular mold should look. If a mold has a dark color, you may believe that it is always easy to spot. That is not necessarily the case. Mold can grow anywhere there's excess water. You may see it growing up your wall, but a mold inspection could reveal that the bulk of your problem is actually within the wall or in the insulation behind it. When you see house mold, you may think all it takes to get rid of it is to give it a good scrubbing. Mold remediation is typically a more involved process, though. Mold mitigation experts typically seal off the affected area to prevent the fungus from spreading to the rest of your home. Then they employ the techniques that the assessment indicates are necessary to thoroughly remove the growth. A final test can confirm that the issue is fully remediated. If you suspect you have black mold, a professional mold inspection can let you know for sure. Don’t rely on your own assumptions of what a confirmation of this issues entails, though. Leave the remediation to the experts who understand how to get rid of the problem. Who Handles Disaster Remediation in Your Community? Some emergency restoration companies are better prepared to handle catastrophic loss situations than others. Whether the emergency involves major flooding following a storm system or high winds bring daily schedules to a standstill, the resulting damages could be more than some crews could handle. For large loss situations, a disaster recover company with plenty of history and a well-established network of resources. Emergencies happen in every state at some time or another. Some examples of catastrophic loss include hurricanes, earthquakes, and tornadoes. Each of these catastrophes have the potential to close businesses, disrupt transportation services, and confine people to their homes. Unfortunately, they also have the potential to force people out of their homes. When this happens, what can you do? 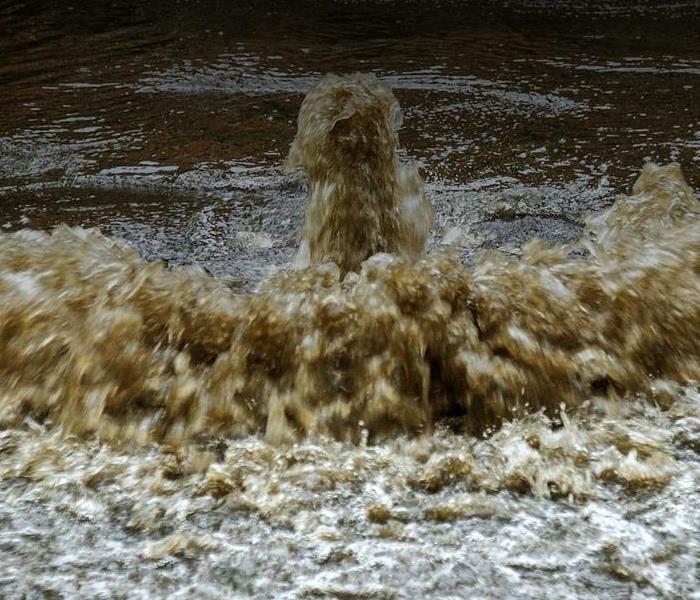 When you need immediate storm damage remediation, choose a company with the resources and workforce to respond. Large loss recovery teams require plenty of equipment, highly-trained, staff, and the resources to move more of each into the community. 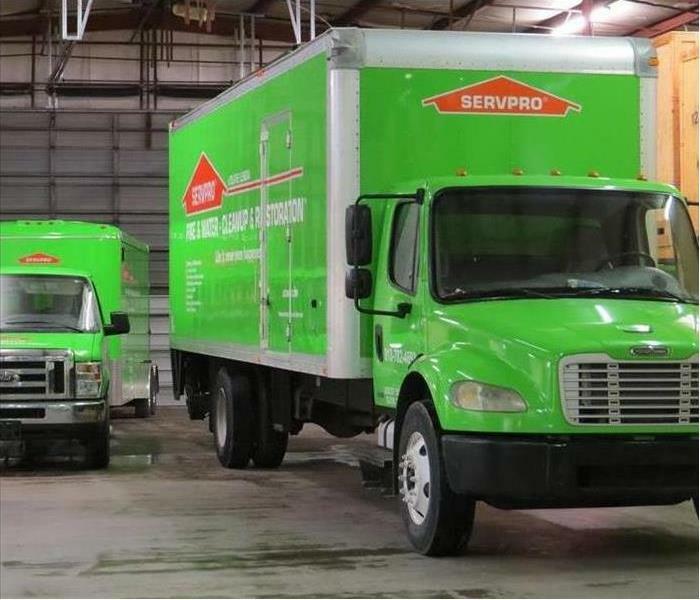 SERVPRO franchises are connected throughout the country, so when Kansas City, KS, is affected by a large-scale disaster, the necessary people and supplies can be moved quickly into town. This doesn't mean that damage restoration will be handled by complete strangers. SERVPRO franchises are locally owned, so technicians from your own communities could spearhead the work. The local team may serve as the command center for the work or may be the point at which supplies and additional technicians gather. Why Does SERVPRO Prepare for Large-Scale Disasters? In 2017, the United States was home to 15 disasters that claimed lives, brought communities to a standstill, and cost more than a billion dollars. The country experienced many disasters again in 2018. Without the right resources in place, communities would struggle to recover. However, catastrophic loss can be handled with the right planning. SERVPRO has the training, the workforce, the resources, and the preparation to respond to storm damage, of any size, in Kansas City, KS. Bad weather and flood damage are likely sources of worry for you as a Kansas City, KS business owner. As a Kansas City, KS business owner, you might think of rainstorms and other types of flood damage when it comes to the kind of harm bad weather might cause to your commercial building. However, trouble can come from other sources as well, even from those you did not expect. 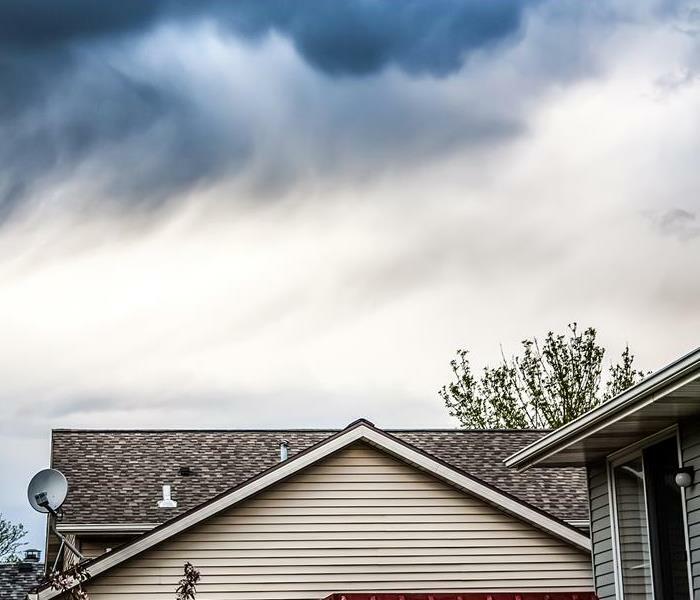 Before the storm season hits your area, it may be helpful to understand what kind of weather-related harm could befall your building, especially those that are not flood related. 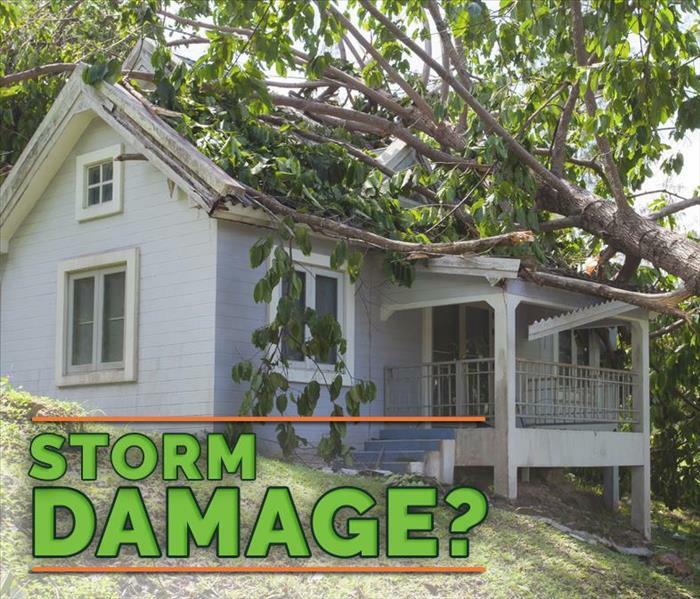 Storm damage can be common during high winds, when large tree branches, neighborhood objects like trash cans and other debris might strike your building. This can be especially damaging if a falling branch or projectile breaks a window. If you are expecting high winds to hit your area, consider covering your windows with thick sections of wood or treated rubber, especially at ground level. While flooding is a common cause of damage to commercial buildings during bad weather, other types of events could impact their electrical systems to the point where they might need replacing. For example, ice and hail storms can affect fuse boxes and heating, ventilation and air conditioning units, rendering them inoperable. If your HVAC and electrical controls are on the exterior of your building, consider protective covers that can withstand all different types of weather. Flood damage would likely affect the lower floors of your business; however, heavy rains and wind that often accompany flooding could impact its roof as well. Wind may pry tiles off your roof or tear away sections of protective material, exposing the underside to moisture. Contacting a flood damage and restoration company may be useful when it comes to finding out how to protect your roof from the kind of harm powerful storms can cause. Bad weather and flood damage are likely sources of worry for you as a Kansas City, KS business owner. However, when you know how to protect your property, you may feel greater peace of mind when wind, rain and floods threaten your area. A portable fire extinguisher is all that is needed to put out the fire. Every home should have a fire extinguisher to suppress minor fires. 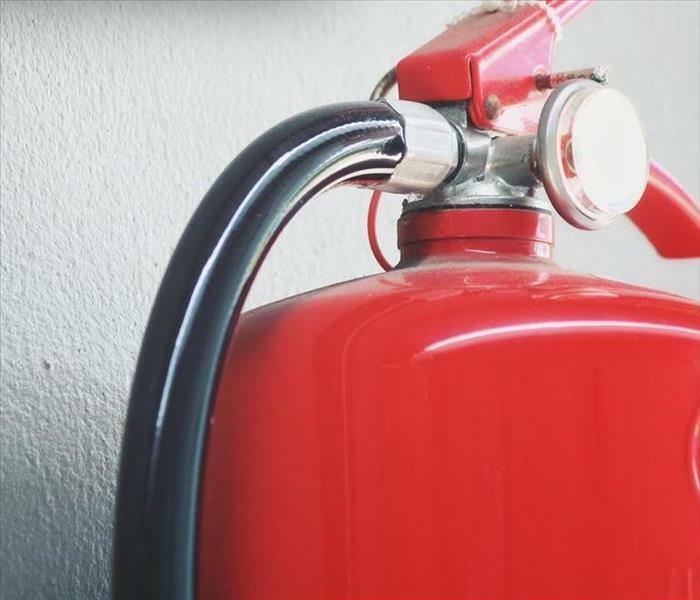 This buying guide identifies the main classes of fire extinguishers and explains why a multi-class or rechargeable extinguisher may be ideal for home use. The most common home fire extinguishers are classes A, B, and C. Underwriters Laboratories assigns the number that precedes these letters and indicates the effectiveness of a fire extinguisher. A 4-A extinguisher is more effective than a 2-A extinguisher. Some extinguishers are rated for multiple classes. Homeowners may prefer a multi-class extinguisher to promote comprehensive fire preparedness. Determine the most likely fire risks and purchase an extinguisher rated for all of these classes. Disposable extinguishers have plastic valves and must be replaced after a single use. Rechargeable extinguishers have durable metal valves and cost more up front. Suppressant refills are more affordable than purchasing a new disposable extinguisher. All of these factors are important to consider when purchasing home fire safety equipment for a residence in Mission Hills, KS . Homeowners may want to install a different class of fire extinguisher in the kitchen, garage, laundry room, and other areas based on the most likely fire risks. If a fire results in property damage, contact a mitigation and restoration company. Mold at a Kansas City, KS bathroom. While some types of mold that exist in your Kansas City, KS, home can be simple to clean up, others are more stubborn and can even be dangerous. Of all mold types, Stachybotrys, or black mold, can be the most difficult to eradicate. If you find this fungus growing in your home, it can be important to learn about the possible reasons for its presence and what you can do to remove it. Unlike other types of fungi, such as mildew, black mold cannot be wiped away easily with a rag and a household cleanser. This is due to the way it grows, as it sinks roots deep into building surfaces like wood and drywall. This makes mold cleanup difficult, especially if the fungus has been present for some time. Stachybotrys can grow rapidly after the introduction of moisture and humidity. 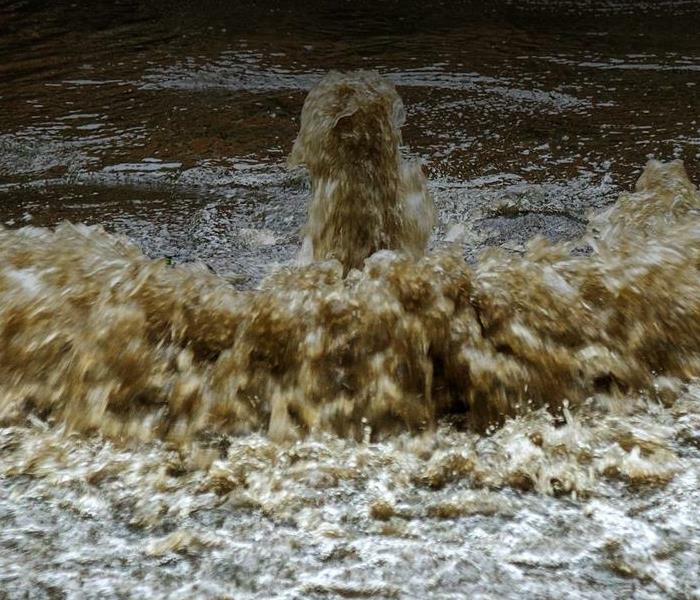 For example, if a weather event caused your home to flood, the dirty water can encourage mold growth almost right away. As a result, walls, floors and carpeting may start to show signs of this type of mold as early as that same day. You can identify it by its slimy dark surface, which differs from the type of dry, fuzzy mold you might find on old food. 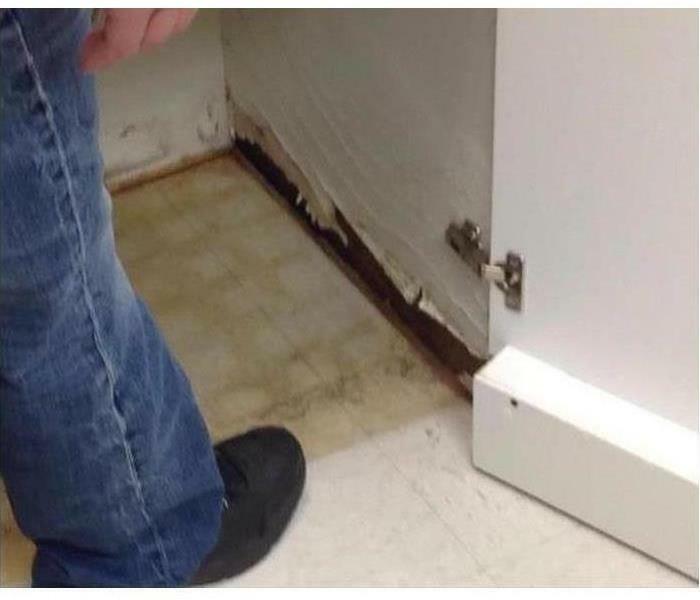 If you are experiencing a widespread infestation of Stachybotrys mold, then it is a good idea to call a mold remediation and removal service for help. Not only can professional technicians properly identify the fungus, they can also give you options for removal and the restoration of building surfaces that have been affected. This may give you greater peace of mind that your home can be returned to normal. When black mold invades, it can be stressful for you as a Kansas City, KS, homeowner. Knowing as much as possible about this fungus can help you better understand your options when it comes to the cleanup process. 2/18/2019 - Who Handles Disaster Remediation in Your Community?